Reports via Bloomberg claim that Essential, the tech company headed by Android creator Andy Rubin, has shuttered plans to develop a second smartphone following poor sales of its debut device. Andy Rubin himself has responded to the rumors via Twitter, saying that "we always have multiple products in development at the same time and we embrace canceling some in favor of the ones we think will be bigger hits." "We are putting all of our efforts towards our future, game-changing products, which include mobile and home products." Bloomberg say that the company has cancelled earlier plans to develop a second smartphone and is shifting its focus towards an unrevealed smart home product that would see them compete with Amazon's Echo and the Google Home speaker. 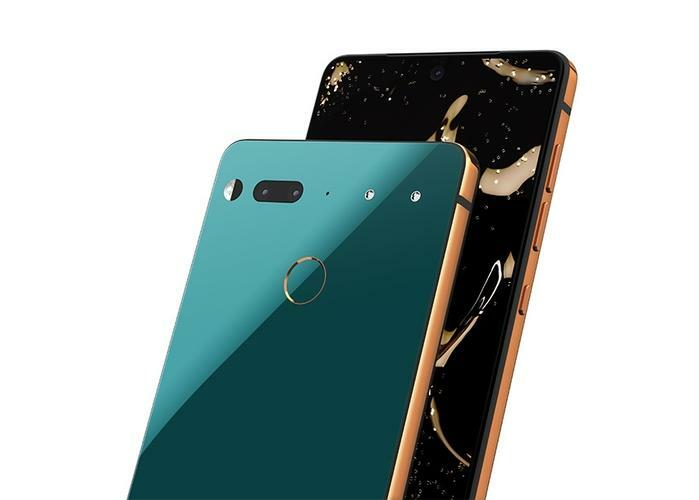 The company's first smartphone, the Essential PH-1 released last year after several delays. Notably, it was the first major smartphone to feature a notch - a design feature later popularized by the Apple iPhone X. Unfortunately, a lackluster camera and high price saw the device fail to endear itself to critics. Citing unnamed sources, Bloomberg claim the company sold just 150,000 units to date. Sources also told Bloomberg that Essential is currently considering remaining in the phone business by potentially outsourcing both the design and production process of their smartphones to a third party. This option would theoretically allow the Essential brand to continue maintain a presence in the mobile space but potentially reduce the risk and cost of doing so. The Bloomberg also say that a full-blown sale of the company could also be on the cards. They claim Essential has hired Credit Suisse Group AG to "advise on a potential sale and has received interest from at least one suitor."